Rooiberg Gasteplaas is a wonderfully rustic self-catering cottage in the tranquil town of Williston, Northern Cape, which comprises three bedrooms in total. 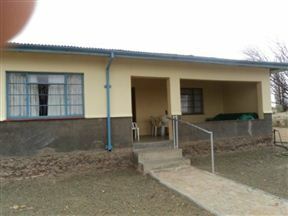 Soek &apos;n Slapie is situated in the quiet town of Williston where guests will feel right at home in this comfortable six bedroom guest house. The house was originally built in 1862 and some of the origan pine ceilings and floors are some of the features that still exist. Lord Willis is a cosy guest house situated in the heart of Williston, offering guest rooms ideal for contract workers and holiday makers. The guest rooms include self-catering facilities with breakfast available on request. This quaint bed and breakfast in Williston has a homely atmosphere and the ideal place to rest in this quiet town. The facilities are all you require for a truly Karoo experience with your hosts Deon and Anne-Marie. Williston Bed and Breakfast, Williston Best Price Promise! 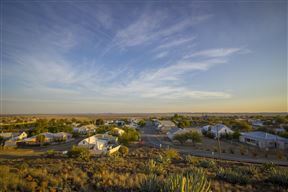 Williston Guesthouse is located in Williston in the Northern Cape on the R63 connecting route to the West Coast and Cape Town. Zakrivier Guest Farm is situated on the farm Goedeverwachting, on the banks of the Zak River just 10 km from Williston on the road to Fraserburg. This self-catering house is perfect for a holiday in the Karoo. 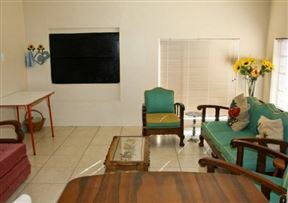 The house is fully equipped and is ideally located to all the necessary shops.